It’s big, it’s bold, and it’s wild and free. Indeed, it can be said that the Kruger Lowveld is the biggest game territory imaginable, boasting spectacular scenery, endless adventures and spellbinding wildlife experiences. In the northern part of this vast expanse of wild country lies the Kruger National Park, one of South Africa’s greatest treasures and easily the best place in the world to see the famed Big Five. Talking of big, the park spans 400kms from north to south and is home to 147 species of mammal, over 500 bird species and numerous species of reptile, fish and amphibians, to say nothing of its 336 species of tress. Dotted with hills and valleys everywhere you look, the Lowveld was also home to the early San people, who left reminders of their existence in ancient rock engravings in the many caves found in this majestic stretch of land. Here you will also find archeological ruins, old wagon trails and gold diggings dating back centuries. When it comes to natural and cultural diversity, to say nothing of the genuine warmth of its welcome, few parts of the world can match Kruger Lowveld. From an ancient landscape framed by what is likely the oldest mountain range on Earth, the Makhonjwa Mountains, to the majestic Klein Drakensberg Escarpment, it’s easy to understand why the Lowveld hold such an abiding appeal to travelers from far and wide. There are gems scattered everywhere. Take, for instance, the famous Panorama Route, the gateway to which is to be found in the charming, historical town of Lydenburg/Mashishing. Renowned for its dramatic scenery and breathtaking views, the Panorama Route is a must visit for both domestic and international visitors. The area is woven into our heritage, and represents an intrinsic reminder of who we are. In short, it is an essential part of learning about and discovering our country. As an international visitor, it is simply an essential and cannot-be-missed component of any meaningful “explore South Africa” itinerary. The essence of the Panorama Route is to drive the route and stop along the way at view sites and unique natural wonders. From Lydenburg/Mashishing you can enter the route from two roads: either the R36 via Ohrigstad and then right onto the R532, or via the R37 and Long Tom Pass, one of South Africa’s best known mountain passes. Gems, gems and more gems. When it comes to accommodation, the abundance is almost daunting. Whatever your choice of lodge, from self-catering to tented accommodation and to extreme luxury, Kruger Lowveld offers the ultimate authentic private safari experience in South Africa. The private reserves of the Sabi Sands, Timbavati/Klaserie, Thornybush and Manyaleti showcase the best of South Africa’s wildlife and the Big 5, offering world-class hospitality experiences. A trip here cannot be compared to any other private safari experience. Often thought to be the playground only of the rich and famous, in reality these private game reserves offer a variety of accommodation options in different price ranges. The proximity to nature and the unrivalled feeling of “being in the bush” is the consistent theme of these reserves, whether you are staying in one of the best hotels in the world or a rustic bush camp. The discerning features of these authentic private safari experiences are exclusivity of game viewing and access to knowledgeable guides and trackers. Nelspruit/Mbombela, the capital city of the Mpumalanga Province, is not only the “ruling” city, being the home of the provincial government, but it is also very much the economic hub of the province. Although Nelspruit/Mbombela is tiny in city proportions, with only 60 000 permanent residents, it serves a large community of almost a million people residing in villages, townships and thousands of small holdings surrounding the city. The city provides a great deal of the employment opportunities in the region and therefore many people commute to the city on a daily basis, more than doubling its head count during workdays. In addition, it is an important link in the Maputo Corridor, the route linking the Maputo harbour to Gauteng. 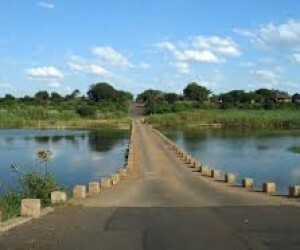 “Kruger Lowveld is built for motor biking.” That is what all motorcyclists, whether they are first-timers or old hands, road bikers or off-roaders, speed freaks or tourists, say about the region. Beauty abounds. With mountain passes, curvy routes, well-built roads and fantastic scenery along the way, there are few places that can rival the Kruger Lowveld as South Africa’s most popular motor biking destination. • The Long Tom Pass – 56km (Lydenburg/Mashishing to Sabie on the R37) of sheer riding pleasure and cambered excitement along one of South Africa’s most famous mountain passes. Whether you’re a “roadie” or a mountain biker, there are endless opportunities for cyclists in Kruger Lowveld. Mankele Mountain Bike Park, just outside Nelspruit/Mbombela, offers numerous options for the mountain biker and the fearless downhill aficionado. There are well-marked trails of varying degrees of difficulty and distance. Some include exciting single track and forest tunnels. There is even a short and easy track for the kids. Mankele plays host to several major events, including the tough Three Towers race. Apart from many of the breathtaking natural icons in the region, the Kruger Lowveld is also a place of historical and cultural significance. Among the highlights in this regard must be the world-renowned Sudwala Caves, the oldest known caves on Earth, formed about 240 million years ago when Africa was still part of Gondwana. These magnificent caves represent the heart of much culture and history in the region. They were used for shelter in prehistoric times, while in more modern times, the caves were used by Somquba, one of the sons of the Swazi king Sobhuza I, who was fleeing from his brother Mswati II. During the Boer War, the caves were used by the Boers to store ammunition for their 94-pounder Long Tom guns. Legend even has it that the caves may have been used by President Paul Kruger to store the legendary "Kruger Millions" during his flight from Pretoria to Lourenço Marques (now Maputo). The Kruger Lowveld region has some of the most diverse habitats in South Africa and boasts an impressive bird list of close to 600 species. With some significant altitudinal differences of around 1 800m over a relatively short distance, you can spend the morning birding the escarpment with its Afro-montane forest habitats and the afternoon seeking out the species that prefer the lower altitudes of the Lowveld. It’s not all about wildlife, though. The Lowveld offers a host of options for those thrill seekers in search of an adrenaline fix. From river rafting or canyoning to zip-lining or a walking safari in the Kruger National Park, there’s something for everybody. 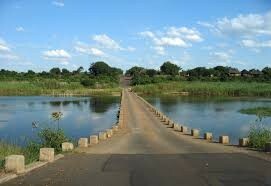 Most adventure activities take place in the Sabie River Valley, either in Hazyview, Sabie or somewhere in between. There’s river rafting down the Sabie River, generally not a strenuous pastime unless a hippo or crocodile pops up in the water nearby. Higher up the river, for those eager to get wet, there are tubing and canyoning activities that are guaranteed to please. The bottom line? If you are seeking nature, and if your heart longs for Africa at its finest, the Kruger Lowveld is waiting to embrace you. It’s a place that will abide in your memory for ever.